Born: 1858, Dunbar, East Lothian, Scotland. Died: 5 August 1935, Surbiton, Surrey, England. James H. Ronaldson, mining engineer, was the son of Thomas S. Donaldson and his wife Janet. He studied at the University of Edinburgh and the University of Li?ge, Belgium, and was elected a Fellow of the Geological Society of London. In 1887 he went to Australia, where he acquired further experience in mining engineering. He contributed a paper on "Coal mining in New South Wales" to the Report of the Australian Association for the Advancement of Science for 1898. After 14 years in that country he came to South Africa in 1902, just after the Anglo-Boer War (1899-1902), and started practising as a mining engineer in Johannesburg. Ronaldson became a member of the Geological Society of South Africa and in 1907 served as both honorary secretary of the society and honorary editor of its Transactions. He translated a comprehensive paper by G.A.F. Molengraaff*, "G?ologie de la R?publique Sud-Africaine du Transvaal" (1901) into English and published it, with some additions and corrections, in the form of a monograph entitled Geology of the Transvaal (Johannesburg, 1904, 90p). In 1905 he and Thomas Quentrall* reported to the government of the Cape Colony on the mineral resources of Namaqualand and the advisability of the government taking over the Port Nolloth to O'Kiep railway. That same year Ronaldson presented a paper on "The copper deposits of Little Namaqualand" at the joint meeting in South Africa of the British and South African Associations for the Advancement of Science, describing the history of their discovery, their geology, types of ores found and the mines operating in the region. The paper was included in the Addresses and papers... published after the meeting. He also contributed "Notes on the copper deposits of Little Namaqualand" to the Transactions of the Geological Society of South Africa (1905, Vol. 8, pp. 158-166). In 1904 he and his wife both joined the South African Association for the Advancement of Science and that same year he presented a paper on "Hydraulic sluicing and dredging for gold" at its second annual congress held in Johannesburg (Report, 1904, pp. 357-369). 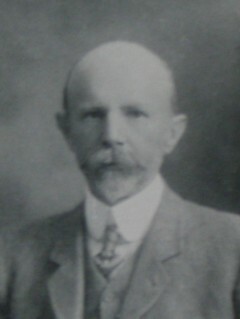 By 1910 Ronaldson resided in Salisbury (now Harare, Zimbabwe). In later years he wrote a monograph entitled Coal (1920, 166p) for the Mineral Resources Committee of the Imperial Institute, which was published by the Institute in London. He was survived by his wife, Jane B. Ronaldson, but had no children. Addresses and papers read at the joint meeting of the British and South African Associations for the Advancement of Science held in South Africa, 1905. Johannesburg: SAAAS. Anhaeusser, C.R. (ed.) A century of geological endeavour in southern Africa, 1895-1995 (p. 20). Johannesburg: Geological Society of SA, 1997. Geological Society of South Africa. Proceedings, 1915, Vol. 18, p. xii, past secretaries; Transactions, 1906, Vol. 10, list of members. National Archives Repository (TAB), Source MHG, Vol. 0, Ref. 4762/53: death notice, James Henry Ronaldson. South African Association for the Advancement of Science. Report, 1904, 1905/6, 1910.